A program to promote positive, caring relationships between parents and their children, and to help parents develop effective management strategies for promoting children’s health, development and wellbeing, and for dealing with a variety of childhood behavioural and emotional problems and common developmental issues. The program has a multi-level strategy for parents to access. Introduces parents to the five core principles of positive parenting. Shows parents how they can use positive parenting principles to teach children important values and skills, including learning to be independent, learning to develop healthy self-esteem, and learning to become good problem solvers. focuses on helping children learn emotional regulation skills. The seminar deals with how to help children recognize and accept feelings; express their feelings appropriately, build positive feelings, deal with negative feelings, develop coping skills, and deal with upsetting or stressful life events. Introduces parents to the formula for promoting healthy family relationships. Key ingredients are encouraging teenagers to be involved in family decision-making, be respectful and considerate, be involved in family activities, have a healthy lifestyle, and be reliable and assertive. presents a formula for helping teenagers make the most of their time at school. This includes encouraging teenager to develop self discipline, be a good problem- solver, establish good routines, get involved in school activities, follow school rules, and have supportive friends. Helps parent encourage teenagers to be confident, be socially skilled, to plan ahead, meet their commitments, keep in contact, and take care of others. A four week program with a focus on specific childhood/teenager behaviour problems. The program helps parents acquire new knowledge and skills and set goals for change. Triple P Discussion Groups offer tips and suggestions for dealing with a child’s specific problem behaviour. Parents view short video clips showing other parents dealing with the same issue and are encouraged to share their thoughts with other parents in the group. Parents will be given a take-home workbook with simple exercises and information to help try new strategies at home. Four topics are available for discussion Dealing with disobedience, Managing fighting and aggression, Developing good bedtime routine, and Hassle-free shopping with children. Parents are actively involved in this five week program. The program consists of four group sessions which provide opportunities for parents to learn through observation, discussion, practice and feedback. Following the group sessions there will be a two week break before returning for the fifth session that brings parents together for social support and celebrate completion of the program. The benefits of group sessions include support, friendship and constructive feedback from other parents as well as opportunities for parents to normalize their parenting experience through peer interactions. Groups are designed for children aged 2-12 years and 13-17 years. This program follows the same format as Triple P Group; however it introduces adaptations for children who have a variety of developmental disabilities. They have included intellectual, physical and sensory disabilities and pervasive developmental disorders including Autistic disorder and Asperger’s disorder. A program designed to help parents and caregivers become aware of their children’s needs. Parents learn to understand and interpret behaviour issues and respond appropriately. As observational skills increase, so does the confidence of parents and caregivers in responding to the needs of their children. This helps build a strong emotional foundation. A simple interactive program to help parents and caregivers promote the positive mental health of young children. Topics are organized into four Building Blocks: Building Trust and Attachment, Building and Enhancing Self-esteem, Expressing Emotions, and Relationships with Others. A program that helps parents and caregivers understand childhood stress and how to provide children with tools to effectively manage stress. These are practical sessions where parents will learn how to recognize stress in their children and identify the stressors. The program shows parents a way to return to a position of authority in the family while teaching the importance of maintaining healthy relationships. 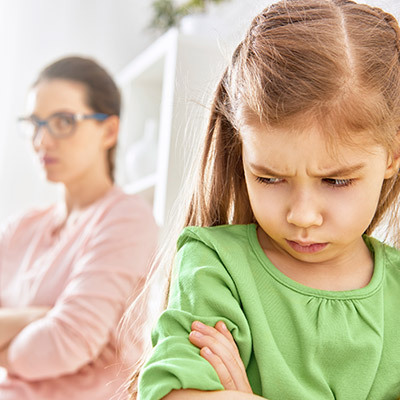 Anger management is examined using a simple and effective technique which will benefit both parents and children. A 4 week program for new (or soon to be new) parents experiencing the transition to parenthood. In a relaxed and supportive environment, parents will learn to strengthen their relationship and foster baby’s development during this challenging time. The program engages parents in building assets in children which protect them from risky behaviours and promote healthy choices. The end result is more stable family structures and stronger connections to the community at large. A parenting education and support program for parents of children from birth to age five. It is an effective program for parents who have limited access to sources of help or information.